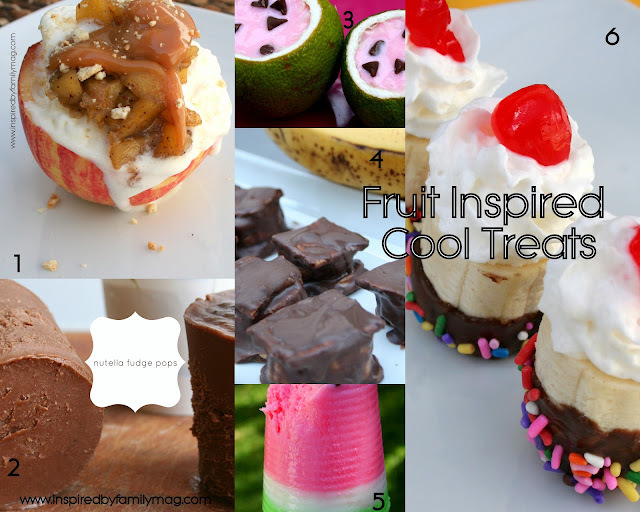 A Mom Not a Professional Nor a Perfectionist: Fruit Inspired Cool Summer Treats! Fruit Inspired Cool Summer Treats! Looking for some Cool Summer Treats? Well since they are fruit inspired we can go ahead and put them in the healthy category, right? All of these have been featured in the digital online magazine below. BELOW IS OUR GIVE AWAY! Just click HERE or click on the magazine cover below! 1. Apple Pie in an Apple Cup doesn't that look amazing! It's also no bake! 2. Nutella Fudge Pops- Bananas & chocolate check out this simple but yummy recipe. 3. Watermelon (faux) cups- Healthy and simple! 4. Peanut Butter & Banana Bites- frozen and yummy! 5. Watermelon (faux) Yogurt Pops- Another healthy and yummy treat. 6. Mini Banana Splits- This treat will get lots of wows but it's so simple! After viewing our online digital publication stop by on Facebook using Rafflecopter or below and tell us what article or tip you enjoyed! Every comment counts as a drawing for one of the FABULOUS prizes below! Thank you for sharing these cool ideas (yes we will call them healthy because they are definitely fruit inspired:) Lol Also thank you for sharing this awesome giveaway at Freedom Fridays! Kathy, Glad you stopped by. 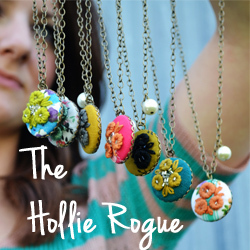 Just visited your creative space and followed back!